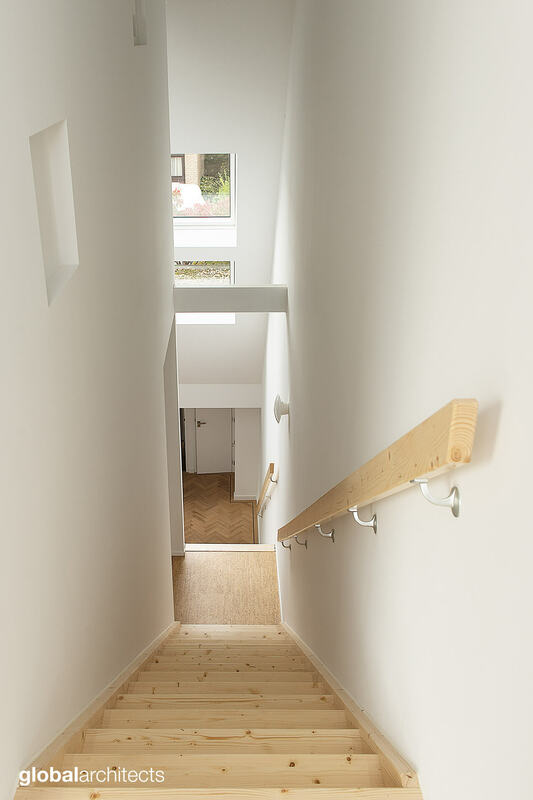 ‘House in a House’ is the sustainable renovation of a terraced house from the 1980s in Wassenaars Spinbaanquarters. Our design challenge was to transform the dated and cramped residence into a bright, modern space with character, yet providing enough space for a family. 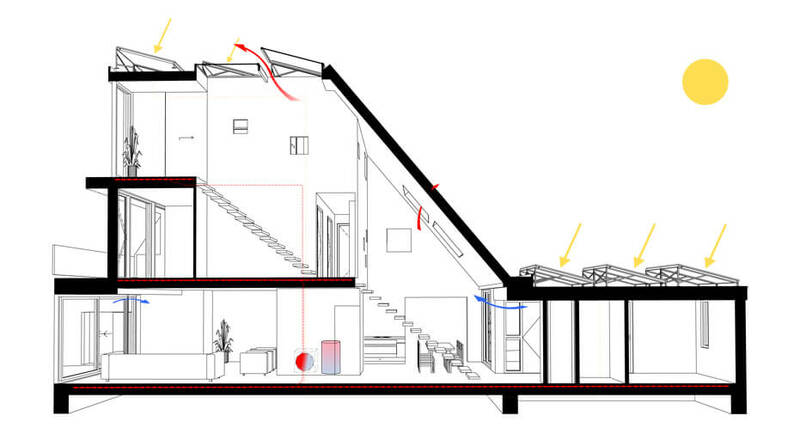 The result is an open living space that makes smart use of the height of the house. 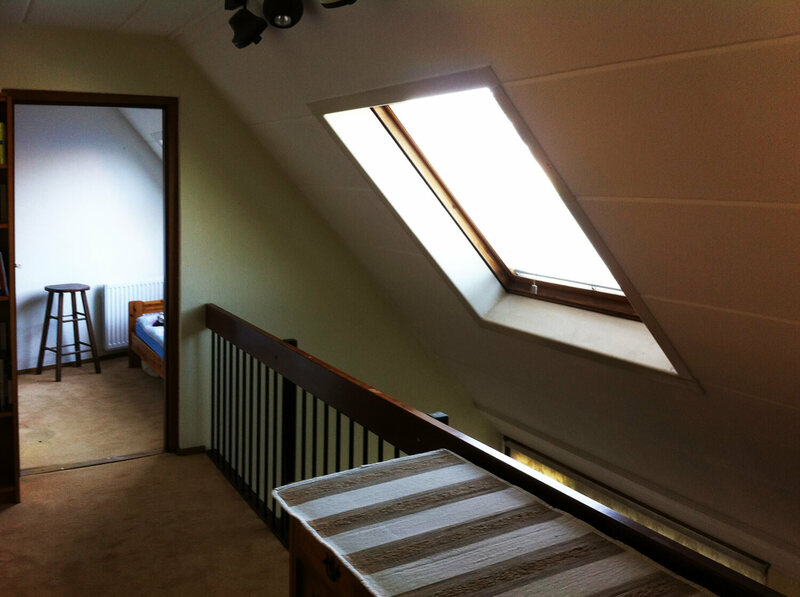 Thanks to the rooftop structure and attic windows, another 40 m2 is gained, enabling light to stream into the center of the house. The living quarters are located around the atrium, thereby creating rooms of different shapes with interesting vistas. 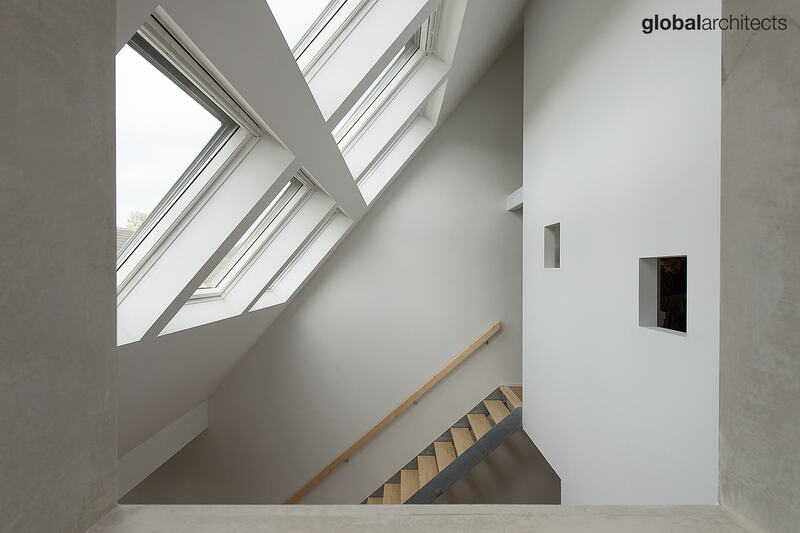 The stairwell spans over two floors and is a focal point of the house. The modern design and the inventive use of space ensures an experience and level of comfort far surpassing the original living experience. 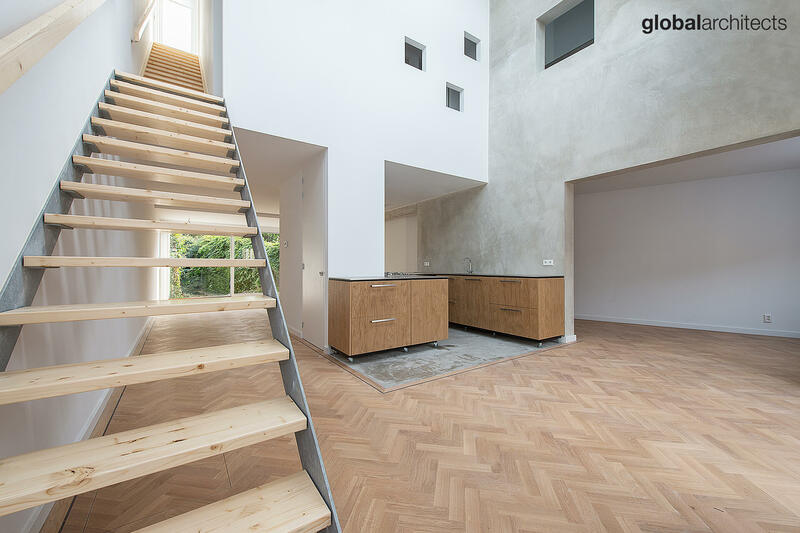 Rugged materials with an unfinished but warm look were chosen for this renovation. 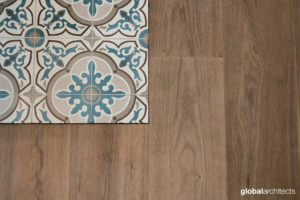 The existing wooden floor at ground level was sanded down and oiled in a lighter color. For the kitchen we chose exposed concrete. The kitchen unit, mounted on wheels, was custom designed and made in oak with a stainless steel worksurface. The load bearing wall in the living room was finished with a concrete plaster and on the first floor a cork floor Is used. 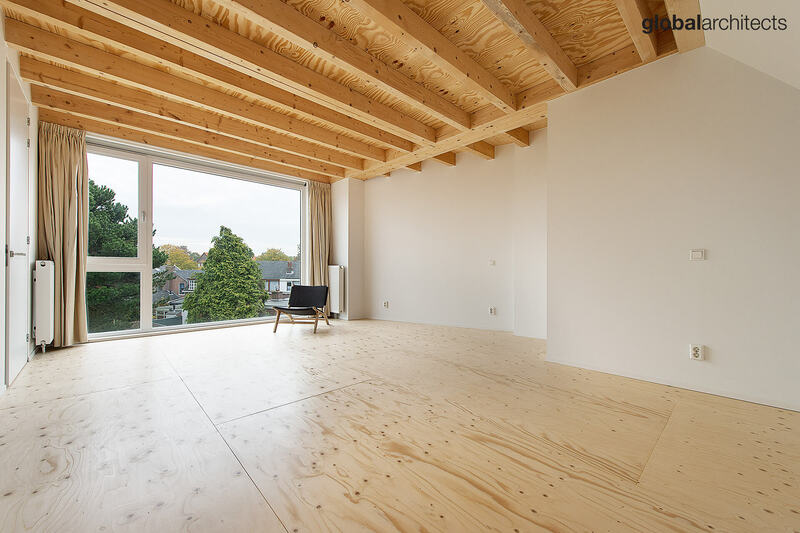 The roof structure is left ‘unfinished’, exposing beams and oiled Finnish pinewood floorboards. 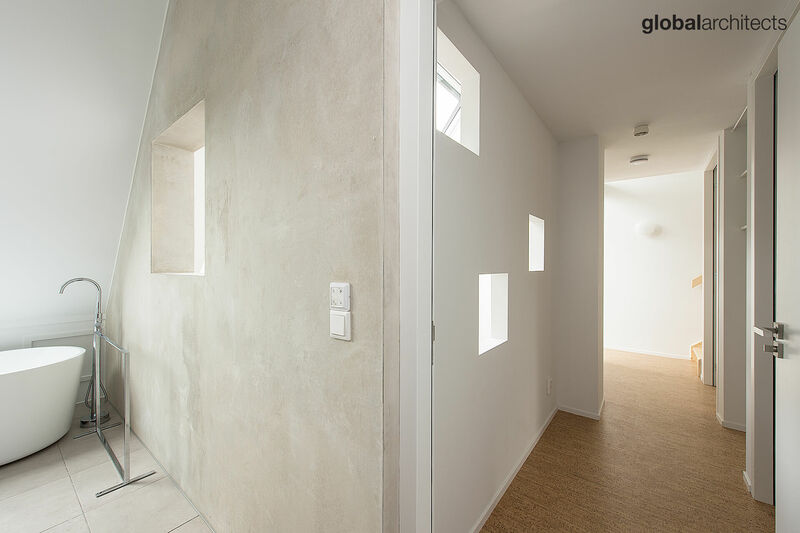 These warm natural materials stand in beautiful contrast to the white plastered walls. Comfort and the environment are the main themes of this renovation. The house is designed from an ‘integrated sustainability’ point of view. Passive solar energy, natural ventilation, heating and cooling are all managed in the atrium. 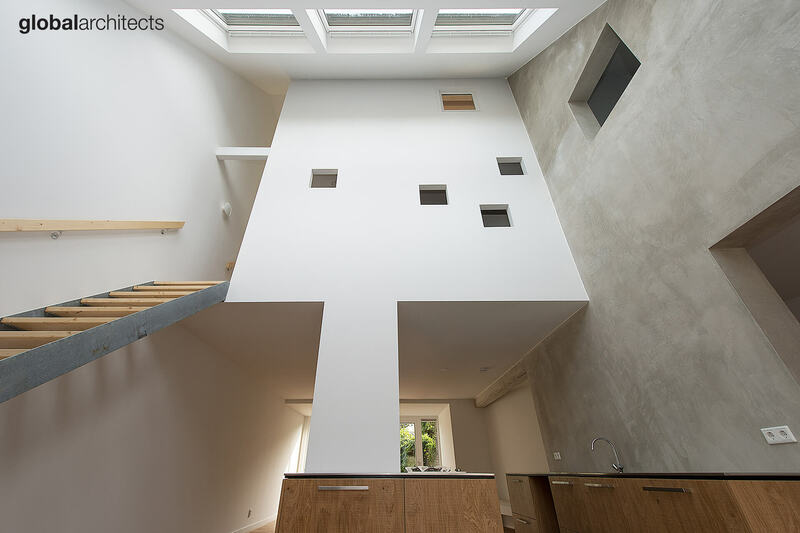 By placing a ‘house within a house’, all rooms open up to the atrium. 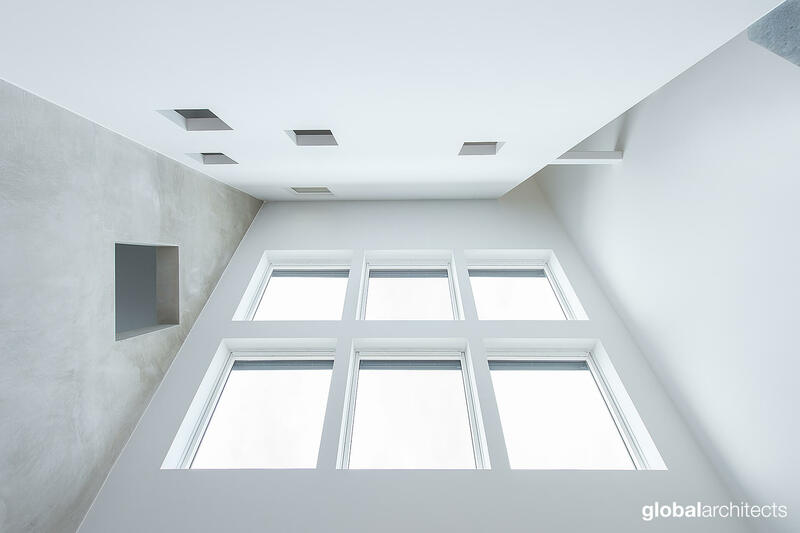 By closing or opening windows the rooms benefit from the warming and cooling qualities of the central space. This integrated system also creates a unique built environment.